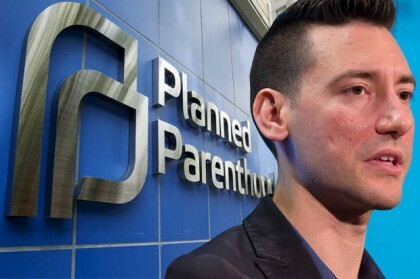 David Daleiden is killing the pro-life movement. You’re likely outraged at me just for saying it - which makes the point. There’s a great scene in “Batman Begins” when Bruce Wayne is on ice, sparring with his trainer, Ra’s Al Ghul. Wayne becomes furious at his opponent and goes for the jugular. With the sword to Al Ghul’s neck, Wayne seems to have won the fight. “Yield,” he demands. Ra’s Al Ghul does not yield, but responds, “You haven’t beaten me. You’ve sacrificed your footing for a killing stroke.” The ice then cracks, and Bruce Wayne drops into the water, cold and embarrassed. End scene. Daleiden, in the same way, has sacrificed his footing. He’s identified something we all agree is clearly evil: Planned Parenthood kills people and sells their parts for profit. Surely, this is a matter worth dying for… but is it a matter worth lying for? We all want to praise David for his courage - but we should ask ourselves: when is lying praiseworthy? When is lying courageous? Moreover, when is it ok to tempt others to murder? The answer is fairly simple: never. It’s always better to be the victim of an injustice than to be, yourself, unjust. Think of it like this: I steal your wallet. Who’s got it worse - me or you? You’re out a trip to the DMV, a Safeway club card, and $40 cash. But (as bad as the DMV is) I’m out of something much more: the integrity of my immortal soul. Thus, the slightest sin is a greater evil than the worst temporal disaster. The mortal sin of one person is worse than the hypothetical nuclear destruction of the entire world. So we need to understand that while the dead babies made by Planned Parenthood is a great evil - the tremendously greater evil is not that Planned Parenthood makes dead babies, but that Planned Parenthood makes murderers. Planned Parenthood kills and lies. This evil is something David Daleiden wants to stop. That’s a noble intention. I share it. But when David decided to tempt others to murder and tell lies in order to thwart his enemy, he became his enemy. He went too far undercover. He actually became the very thing he opposed. Tempting Deborah Nucatola (who according to Daleiden’s own testimony, became his friend and had the potential to be swayed) was perhaps a grave violation of Charity. Imagine the possibilities if David had poured as much energy into loving her as he did into duping her - she might be the next Abby Johnson by now. The moment the pro-life movement forsakes truth, it also forsakes love. Without love, we are gongs - responding to the outrageous with mere outrage - willing to lie to the liars. And while outrage can make for an entertaining primetime lineup on Fox news, it can’t change hearts - or save lives. Outrage is for the unjust. Just ask St. Stephen, who maintained angelic placidity while suffering injustice. It was his murderers who were outraged. David has been scandalized by the evil of abortion. Understandably so. But in resorting to unjust means to accomplish his ends, he has betrayed those ends. In hailing him as a hero, we, as well, betray them. If we’re going to win the fight for life, it will have to be a fight rooted in truth (as it has been until recently). We must never compromise our footing upon the first principles. The truth is an even greater good than human life - as demonstrated by the many saints have given the latter for the sake of the former. David has given the former for the sake of the latter. This was a costly error that history will show to be severely counterproductive in the fight for life. The pro-life movement will fail only insofar as it fails to operate according to the truth. The truth is not something that can be rightly opposed for the sake of a greater good. There is no greater good. For the truth alone is that for which all things have been made (Aquinas, C.G. I, I, 2).